CNBC has learned the details of the revised terms being offered to the GM debt holders and the UAW. The negotiations remain fluid and details could be change as offers and counter offers are made, said sources familiar with the situation. The GM offer is a "first shot, a starting point" for negotiations, said a GM bondholder, but "there’s great disparity between the bondholders versus labor." 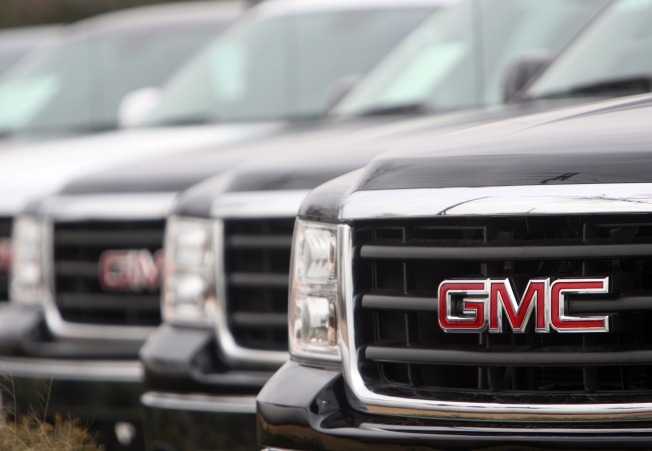 GM is offering them $10 billion in cash, amortized over 20 years, and $10 billion preferred stock with a 9% coupon. GM (NYSE: gm) owes the bondholders approximately $28 billion dollars. As part of the US government's recent bridge loan to GM, the company is required to reduce that debt from $27.5 billion to $9 billion. GM has offered bondholders two choices. Choice 1: 8 cents in cash, 16 cents in new unsecured debt, and 90% of the equity in GM. Choice 2: Still unclear, but it is believed to include 90% of equity in the new company. Agreements with the union and bondholders are key to GM's effort to turn itself around with a new capital structure and continued support from the government. A White House panel led by former investment banker Steve Rattner is reviewing the car maker's efforts. Last weekend GM bondholders sent a letter to Treasury Secretary Timothy Geithner and the leaders of the auto task force Sunday expressing frustration that they have received no response from either GM or the auto task force regarding their suggestions for a near $28 billion debt exchange. As part of the US government's recent bridge loan to GM, the company is required to reduce its debt from $27.5 billion to $9 billion. The company wants debt holders to hand in their bonds and accept stock of far lesser value. Advisors to some of the bondholders call the current offer unfair because it requires them to take a much larger financial hit than many of the other constituencies in the restructuring including the unions and suppliers. The union is being asked to accept 50 cents worth of stock for every dollar owed to them by the company for their healthcare benefits, while bondholders are only getting 30 cents under the current plan. Bondholders argued if the suppliers, dealers and unions don't sacrifice even more, the company will not survive and the stock they are given will become worthless. In the letter, the advisors argued that many retail investors will be hurt by the terms of the deal on the table. "GM bondholders are not a collection of 'Wall Street banks.' Many of these bonds are owned by average citizens, who purchased them to support their own retirement and college expenses and other critical needs," the letter said. "Most of these bonds were issued when GM was an investment grade rated company as a safe way for individuals and conservative institutions to invest for the future." Some $5 billion of GM bonds were offered in increments as low as $25, suggesting they were bought by individuals. In addition, GM's bonds are held by many pension funds and mutual funds. Calpers, Franklin Resources, and PIMCO are some of the biggest holders.